My name is Danielle and I am a proud Mompreneur and work-at-home Mom to two beautiful boys. Although life at home with young kids can be crazy sometimes, I was inspired to start my business Attn2detail Designs in order to be home as they grow. As my brand evolves one thing remains, the detail and quality I devote to my work. I enjoy connecting with customers and creating the perfect pieces for them be it a greeting card, or custom print, the same amount of attention goes in to every piece. Upcycling paper scraps and combining them with illustration, corbin creative creates a series of mixed media art prints and greeting cards—perfect for you or some other lovely, quirky human you might be lucky enough to know. 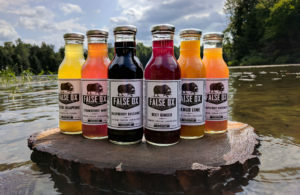 False Ox makes amazing heirloom beverages for all occasions. They make great natural drinks, cocktails and fancy beverages. I create each piece myself in my home studio in Toronto. A great sense of colour and design have always been my strengths and I use these to make accessories that are fun, unique and fashionable. The pieces are recreated from old vintage jewelry, watch parts, discarded treasures and other findings. I love being able to give new life to discarded items. I believe that buying eco-friendly jewelry from the artist is better for the environment. Pop Up Card Art by Roses Without Thorns is the next level of greeting cards. Each intricate card is a true work of art that is meant to be displayed.